It’s no secret that celebrities have a huge impact on style and fashion. Usually celebrities, especially famous actresses, work as ambassadors of the newest fashion: first we see them sporting the newest fashion trends, and after a while these trends make their way into our everyday style. 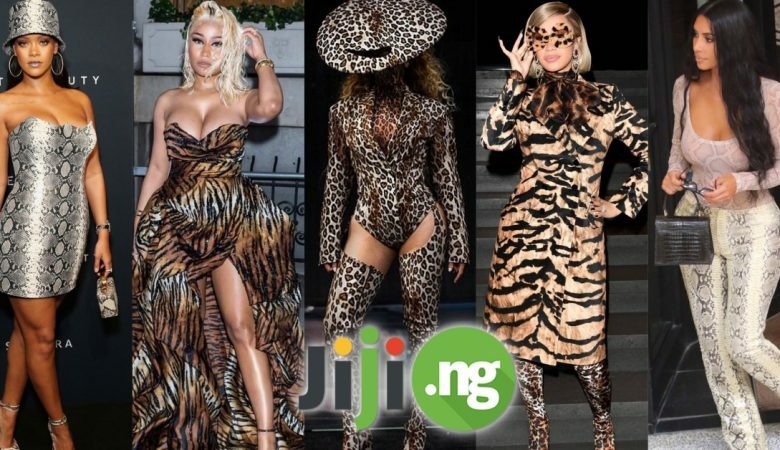 It’s safe to say that celebrities are the moving force of fashion in general and some of the most interesting trends in particular. The whole world knows the style icons of Hollywood, both celebrities from the past, like Marilyn Monroe, Elizabeth Taylor, and Audrey Hepburn, and modern day celebrities – most importantly, Rihanna, Beyonce, and Lupita Nyong’o. 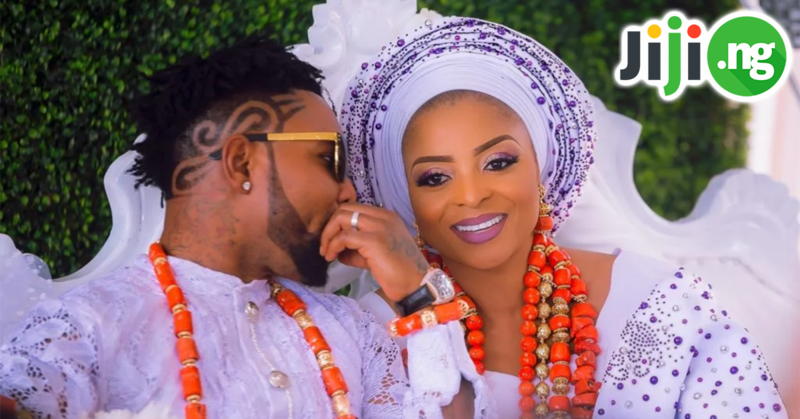 However, Nigeria’s movie scene known as Nollywood has also produced some style icons of its own. Who are these ladies and why do we love their style? You’re about to find out! 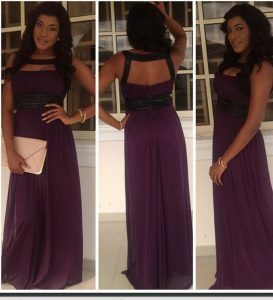 Chika Ike, also known as Nancy to her family and friends, is a Nigerian actress that turns 30 this year. She is famous not only for her movie roles, but also for being a renowned philanthropist and UN ambassador. Chika’s fame has been rising since 2005, when she landed her first part in a movie. 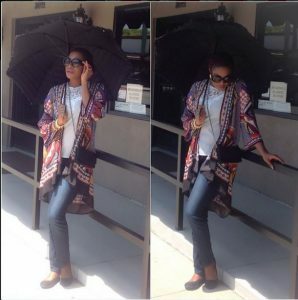 Chika Ike boasts a unique style that many your Nigerian girls try to recreate. The actress is a big fan of stunning formal dresses, which usually have floor length and are decorated with all kinds of embellishments. Chika is also adores beautiful shoes, especially high heels, although in her more informal looks we can see her in different flats. 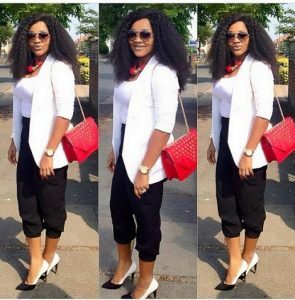 Don’t be surprised when you see Chika Ike in jeans and T-shirt – she loves going casual from time to time. Genevieve Nnaji, who recently turned 35, is one of Nigeria’s most famous actresses and singers. She has won numerous prestigious awards for her acting and singing achievements, and has even tried modelling. 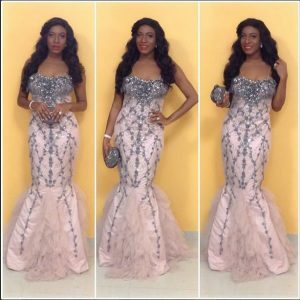 After having starred in several dozen critically acclaimed and widely successful movies, Genevieve has earned her spot in the hearts of Nigerian fans. 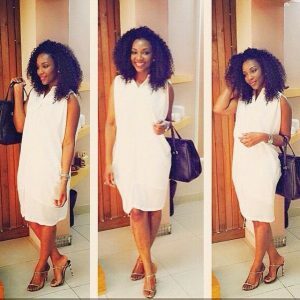 Genevieve Nnaji’s style has made her a true Nollywood style icon. She always brings her A-game to any event: a movie premiere, a wedding, or any kind of formal and informal events. She knows that every occasion requires a unique look, so you’ll never see Genevieve in the same outfit twice. 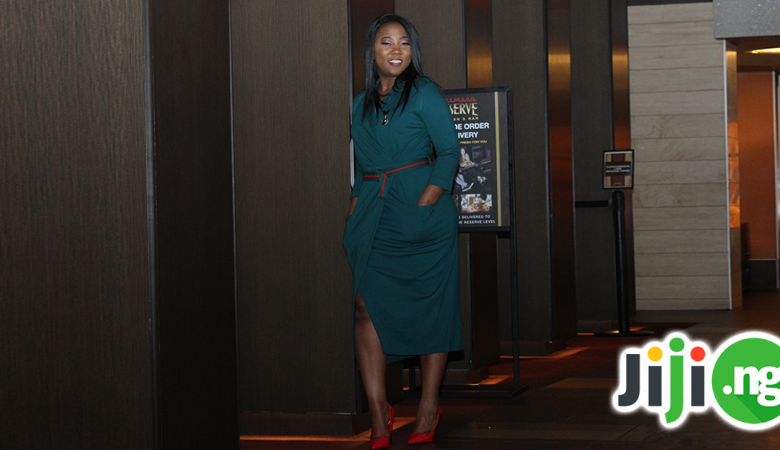 Another vital part of Genevieve’s style is her love for Nigerian designers: her dresses, accessories and other clothing items from domestic designers catch everyone’s eye. 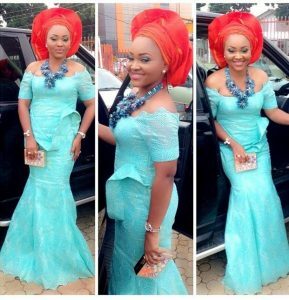 Mercy Aigbe Gentry, a renowned Nigerian actress, film director and entrepreneur, is just a little over 35 and is best known for starring in Yoruba language movies. Her career in film was powered by her education in Theatre Arts, which taught her the basics of the movie shooting process. A happy mother of three and stepmother of other three children, Mercy is very happy both in her professional and personal lives. 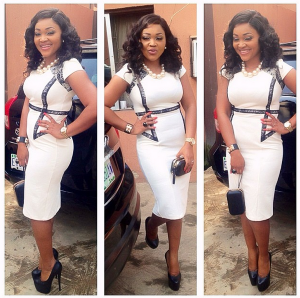 Mercy Aigbe Gentry’s personal style has been a subject of many magazines and articles. In her formal outfits Mercy prefers tight, curve-hugging dresses that enhance her shape. Floor-length dresses with slits can be often seen on Mercy at red carpet events. These formal looks are always accompanied by beautiful high-heeled shoes, often with open toes. However, her everyday outfits are much more casual – skinny pants, loose tops, jumpsuits and flat-feeled shoes are perfect for running errands. 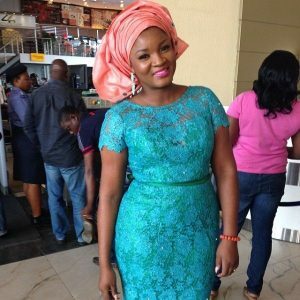 Omotola Jalade Ekeinde, known best as just Omotola, is one of the leading Nigerian actresses. However, no matter how great her acting talent and achievements are, she is also famous for her philanthropist aspirations. Her filmography includes over 300 critically acclaimed movies that were seen by millions of Nigerians. She has also a successful music career, which makes her start shine even brighter. 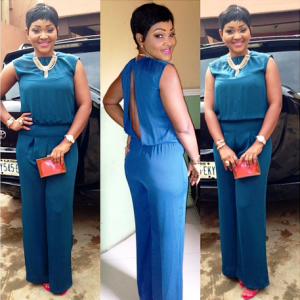 Omotola’s personal style is heavy influenced by her Nigerian roots. Patterned dresses, traditional Nigerian styles, ethnic-inspired headdresses and footwear can be spotted in almost any of Omotola’s red carpet looks. At the same time the actress favours more modern and universal styles: her outfits are often decorated with lace, leather, sequins, and other trendy embellishments. 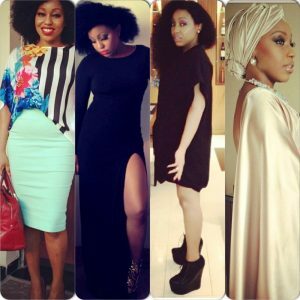 Rita Dominic rightfully takes the first spot in our list of best-dressed Nollywood celebrities. A member of the Royal family, renowned actress with over 100 movies in her filmography, a successful entrepreneur and a loving mother and wife – it seems like Rita has it all! 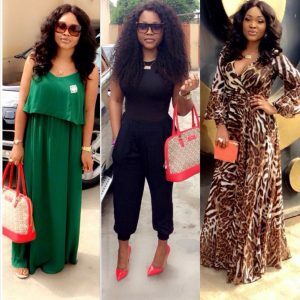 Rita Dominic’s fame has grown not just thanks to her acting talent, but also due to her outstanding fashion sense that has made her one of the most renowned Nollywood style icons. 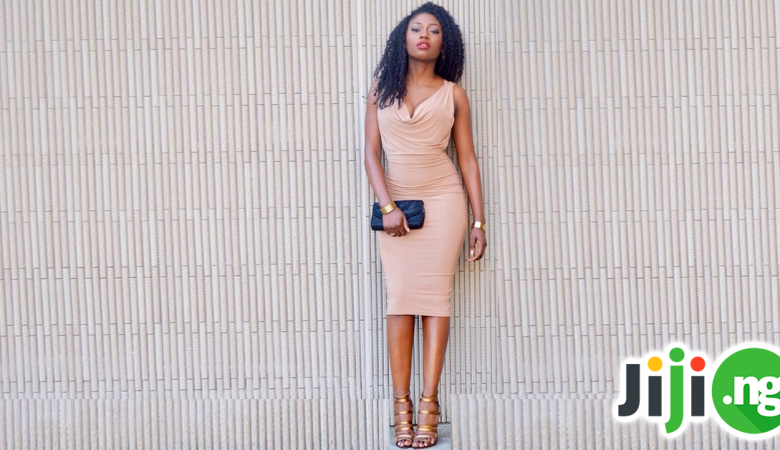 Like some other Nigerian actresses, Rita favours the work of local Nigerian designers who love creating looks for her. On the red carpet Rita Dominic is often seen in skin-tight dresses with sophisticated decorations that are often reminiscent of her ethnic roots. Her everyday style is more relaxed, although Rita would never leave the house without a beautiful and trendy outfit, accompanied by exquisite accessories and stunning makeup.